Gamers who are using ATi Radeon GPU display adapter can download, install and play Half-Life 2: Lost Coast and Half-Life 2: Deathmatch two PC games for free from Steam, as part of ATi Stream offer free giveaway. Steam (www.steampowered.com) is content delivery system developed by Valve Corporation which is pivotal for playing Half-Life 2 as all players on PC are required to have Steam installed and a valid account in order to play. There is also free games for NVIDIA video accelerator users. Valve Corporation, the developer for popular science fiction first-person shooter computer game, is teaming up with NVIDIA to give away 4 popular computer games to NVIDIA GeForce GPU video adapter via Steam delivery platform. The games giveaways is part of the after sales promotion offer to further support and popularize PC gaming configuration based on NVIDIA GeForce graphics card, fighting with ATi free games offer. The leading manufacturer of mobile phones, Nokia has finally launched its long-awaited N-Gage mobile games service with more games, additional compatible devices and an expanded online offering, allowing Nokia fans to try, buy more high-quality made-for-mobile games directly from their mobile device and interacts with one another through the N-Gage Arena community, aiming to enhance your Nokia N-Gage experience. 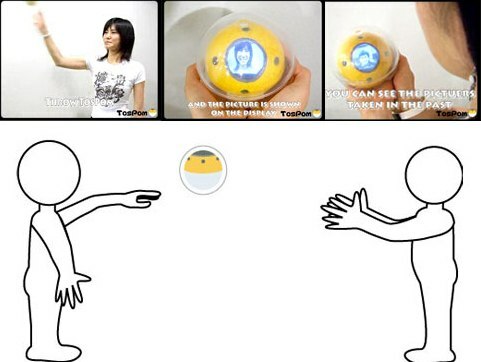 As what you see in the photo, the TosPom is a ball-shaped camera that able to snap pictures while playing a game of catch, capturing a photo of the object automatically as the object catches the ball, aiming to draw out a more natural and relaxed expression from the object. Saga is a free online epic fantasy massively multiplayer online real-time strategy game (MMORTS or RTS) that has no subscription fees, but is supported by selling booster packs or expansion packs of random troops and spells, which are traded and customized to create the strategic army of choice for each player. The Japanese consumer electronics giant, Sony has announced that they will bring the new DualShock 3 rumbling wireless controller for (Playstation 3) PS3 and the Sixaxis controller will no longer be offered after it’s completely sold through at retail.